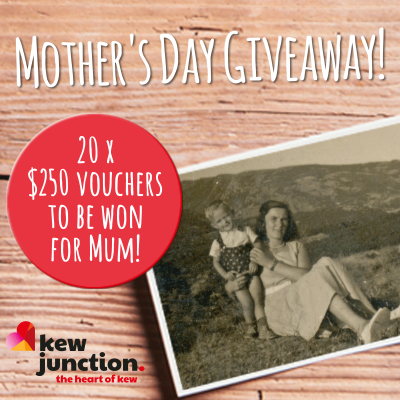 WIN a $250 voucher to spend in Kew Junction for your Mum! WIN! 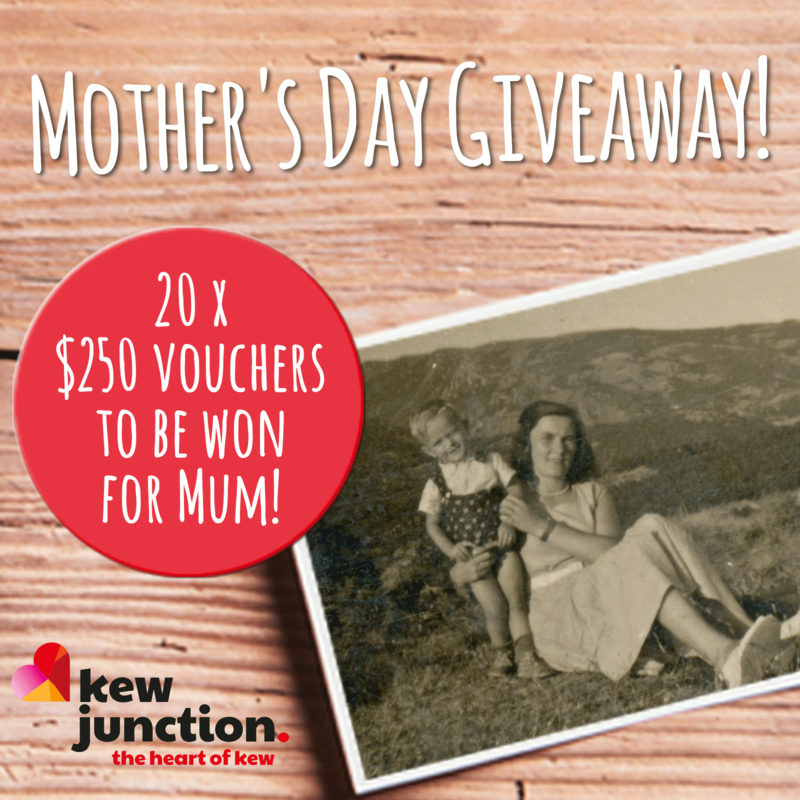 One of 20 x $250 vouchers for Mum this Mother’s Day! All you need do is head to Kew Junction social media, find the competition post and enter. Upload your fave pic of you and your mum on the post and tell us what you’d love for your Mum – lunch/dinner voucher, pamper/beauty voucher, voucher for a gift (incl clothing/shoes), fitness/health voucher or something else! You may enter on both social media accounts, by following competition directions on both posts. This will be recorded as 2 x entries. (ABN 16377997532), Suite 123 / 16 Cotham Road, Kew, VIC 3101. 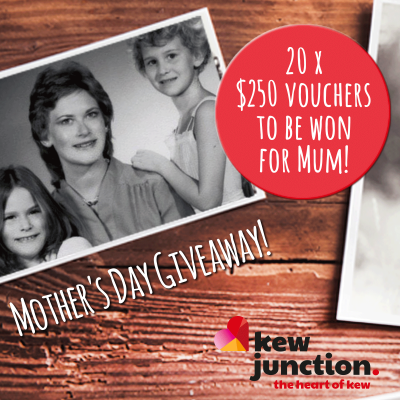 Enter via competition posts on Kew Junction social media. In respect of the vouchers, the store or business must operate from a property subject to the Special Rate & Charge levied on businesses for the promotion of Kew Junction. The winners will be drawn at random on the date and time outlined above. The winners will be contacted via social media. If the prizewinners cannot be contacted within 48 hours of the draw, the Kew Junction Business Association may conduct further draws as necessary in order to distribute the unclaimed prize. 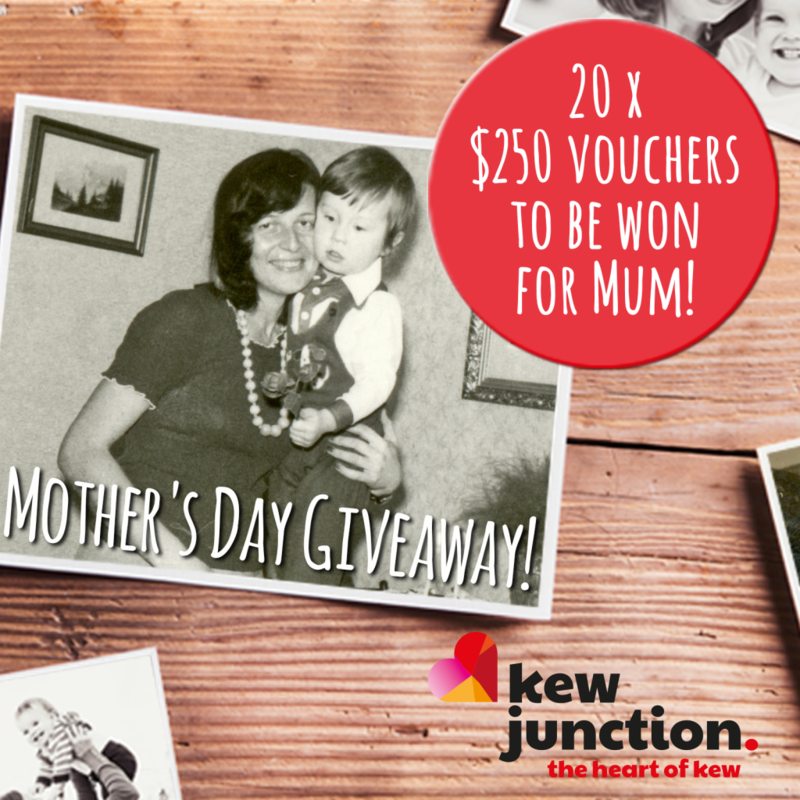 Winners will be required to participate in publicity, photography or promotional activity as required by the Kew Junction Business Association without any compensation. Winners consent to the Promoter using their name and photo in any promotional or advertising activity chosen.